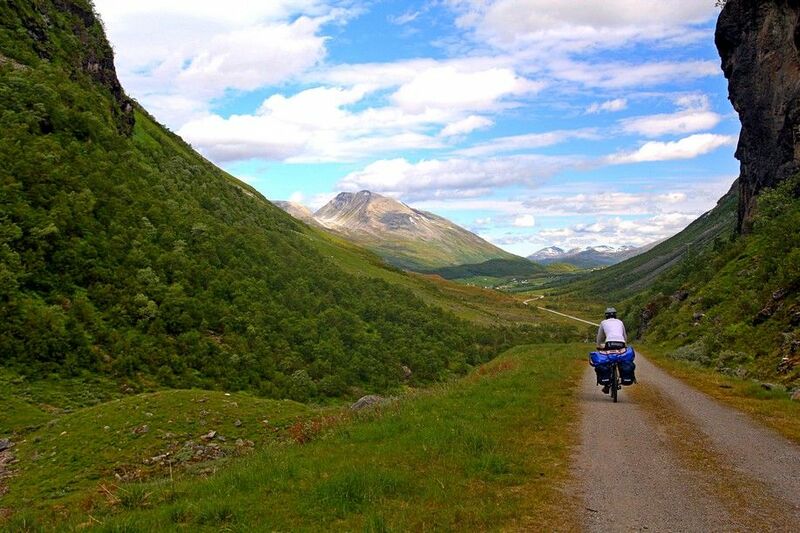 Bicycle touring and photography: what to do when you get back home. We round up our series of articles dedicated to lovers of photography and bicycle touring by giving you some information on the basic things to do with your pictures to create a collection of photo memories of your travels once you get back home. There is nothing more depressing than a meaningful travel photo forgotten in the bottom of a drawer or in an unknown and remote virtual space on a hard disk. The first thing to do once you get back home is download all your available files into one single folder. Depending on how you want to use them and the quality of the devices used, you could collect all the photos together in one place or separate out the high quality ones that you might want to print (e.g. reflex camera shots) from the medium/low quality ones (e.g. compact camera, mobile, action cam photos) to use for small prints or on online. Once you have collected all your images together, you can begin the longer and more delicate stage of selection: keep the more meaningful shots, those which are of more value to you, and be as ruthless as possible! It’s better to have fewer photos over which you will look back more often than to have hundreds or thousands that you will look at once and then leave to be forgotten. 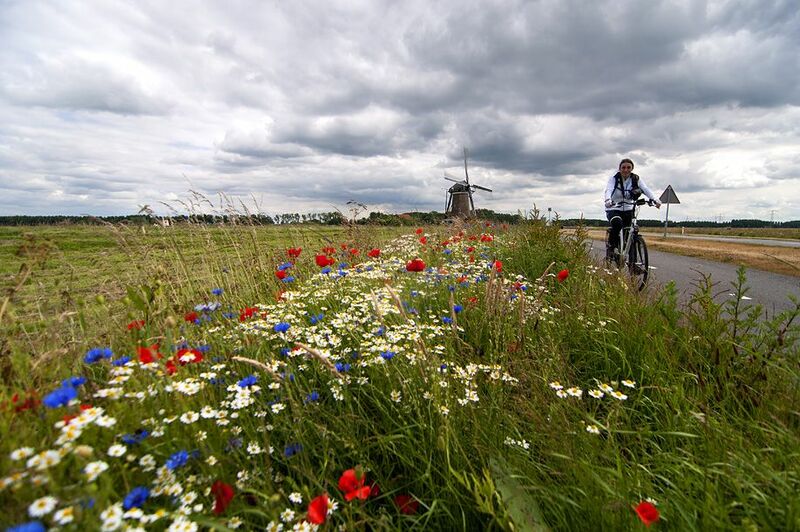 Try to select a variety of photos: landscapes, portraits, photos of the bikes and of travelling cyclists in the saddle. 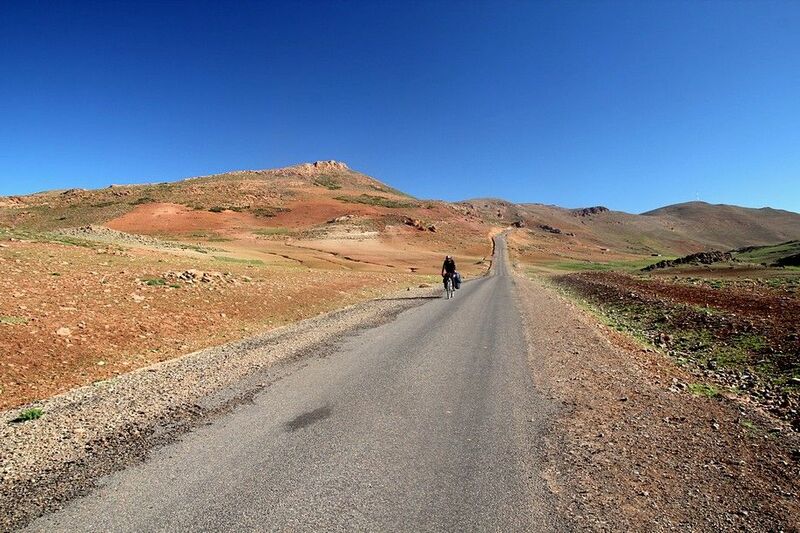 The road is often of leading importance during a bicycle tour, and thus will be among the main image subjects, but try to get some different photos, such as maybe a few “accidents” en route that can add colour and adventure to your future story telling. After selecting the best shots, if you have done a good job, you should be left with around a hundred or so (obviously, this depends on the type of tour, its duration and the location) and so you can choose to perfect them all with some post-editing work. If you have too many, you will be forced to carry out a second selection stage to pick out the best photos, those which are really worth editing. In both cases, with any photo editing software, you can decide whether to make individual improvements or use so-called batch editing to apply certain processes (saturation, contrast, brightness…) to all or some of your images. Given that this is not the subject of this article, we won’t talk here about the image post-editing stage. You can find hundreds of tutorials online by much more skilled and competent photographers. After selecting and improving your photos, all that remains is to archive them. This operation is very personal and there are specific programs that can help you to find your photos within your archives. We use the our computer’s standard directory, subdividing the archive into years. The folder for each particular trip is named with the date (month and day) and the name of the location. The photos can be renamed using a sequence of numbers that goes in order of the date each image was taken and with numbers containing the same number of figures (e.g. if you have fewer than 100 photos, the first will be 001.jpg or 001-location.jpg, the second 002 and so on; if you have fewer than 1000 images, but more than 100, you have 4 figures: 0001.jpg and so on). After archiving your photos, one further and essential thing to do is a backup: keep at least two copies of your digital photos on two different support systems (external hard disk, DVD, cloud… whatever is easiest for you). At this point, you have done all the main things necessary and you can choose whether to print all or some of your images, create a photo book, publish them on social networks or online or just keep them to show to friends and family. When you get back from your bicycle trip, it’s not just your photographs that require attention; all your various devices also need looking after. Check over your camera and clean the lenses and sensors if need be, clean your tripod, wash your bags and covers and sort out any defects or problems. It is important to have your equipment in perfect condition and the stress it suffers on a bicycle tour trip is definitely not to be underrated. Don’t let this article get you down and don’t be scared off by the amount of work involved. If you have a passion for photography, you won’t find the photo selection tiresome at all, and even the cleaning of equipment and materials will become a sort of stress therapy of a few hours free from the TV and computer! Happy cycling and happy snapping to you all!